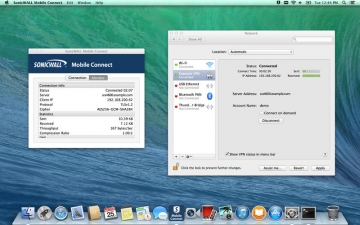 [無料] SonicWALL Mobile Connect | Mac App Storeのアプリ検索・ランキング BuzzMac! 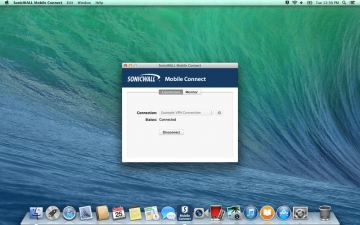 SonicWALL® Mobile Connect™ provides users full network-level access to corporate and academic resources over encrypted SSL VPN connections. 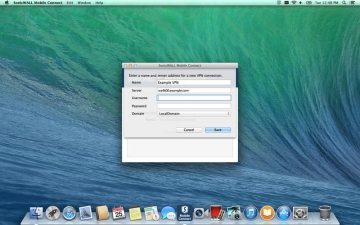 The client provides anytime, anywhere access to critical applications such as email, virtual desktop sessions and other OS X applications. 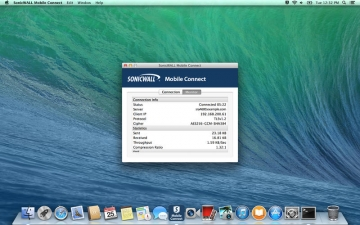 • SonicWALL Aventail E-Class Secure Remote Access (SRA) appliances running 10.5.4 or higher. • SonicWALL SRA appliances running 5.5 or higher. • SonicWALL Next-Generation Firewall appliances including the TZ, NSA, E-Class NSA running SonicOS 5.8.1.0 or higher. For more information on SonicWALL SSL VPN and Next-Generation Firewall solutions, please visit www.sonicwall.com.